I don’t know what he’s so mad about. $6.99/lb of human flesh is a pretty good deal. 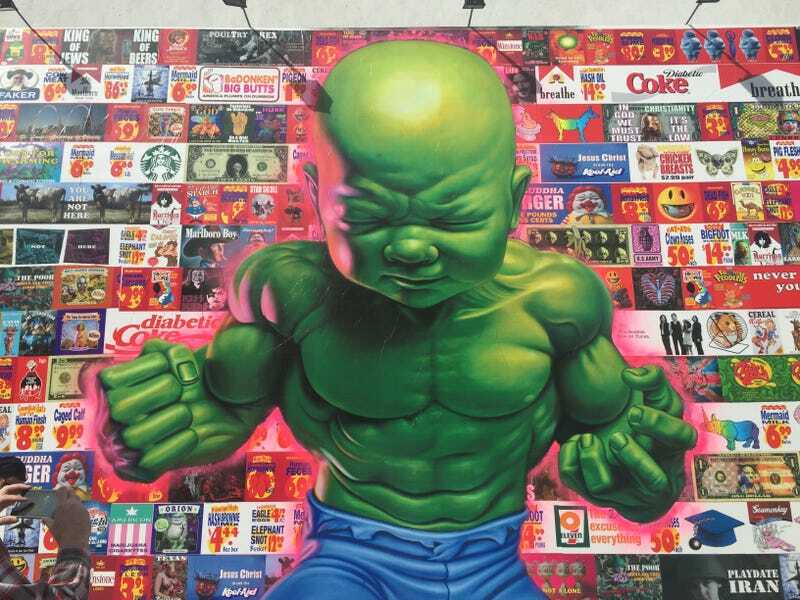 Artist Ron English completed this giant Baby Hulk (or “Temper Tot” as he calls it) mural at the corner of Bowery and Houston in New York City this weekend. The angriest baby appears in front of a giant abstracted American flag, which is made of ad parodies.